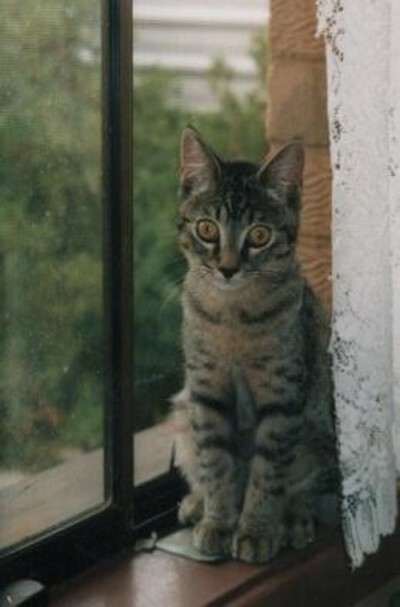 My favourite type of cat has always been the tabby cat. I have been the happy owner of several of these through the course of my life. 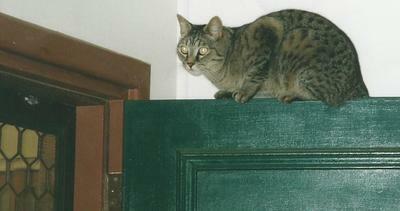 My current cat, Max, is a sixteen year old tabby who is an important part of our family. We got Max when he was about seven weeks old. He was a character from the start and loved to hide, or try to hide, in all sorts of places. His antics provided plenty of 'Kodak moments' when he was younger. Max is much more sedate now that he is well into his senior years. 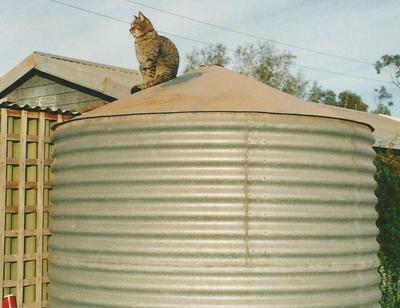 I have the photos to remind me of a time when he would perch on top of a door or sit on the rainwater tank. Max is affectionate with those he knows well. 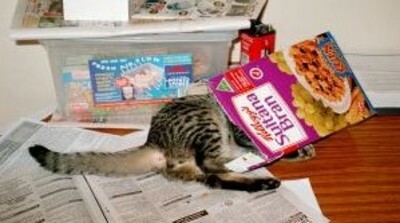 However, when someone he doesn't know comes into the house, he goes into hiding. He has an understanding with our long haired chihuahua. Max is the boss but sometimes they curl up on the bed together. When we moved house about three years ago I was concerned about how Max would handle the 400km trip in a cat cage. He had always lived in the same house since coming to us and I wondered how he would adapt. As expected, he didn't enjoy the trip and voiced his annoyance loudly. It was fortunate our dog just curled up and went to sleep and didn't bark to add to the noise. However, Max quickly became used to his new home. He decided he liked the house and when he was eventually allowed outside he was happy with the back yard. He has never trusted the front yard. Yes, he has ventured a few steps into that area but has then dived back into the house. For some reason, even though we live on a quiet street, he just doesn't like the front yard. I am happy about this because I don't have to worry about him crossing the road and being hit by a car. These days Max spends more time sleeping and is happy to laze around, watching the world go by. He doesn't even bother to chase away the birds that steal his food. Pet lovers become very attached to their 'fur babies' and think they are something special even if they seem ordinary to other people. We love to talk about our pets and share anecdotes. Even if our pets have annoying habits we just wouldn't want to be without them and they add so much pleasure to our lives. Hi Marie, I enjoyed this article. We have a fur baby too! He is a tabby cat named Leo. He is a 15 year old ''senior baby.'' He was 6 weeks old when we adopted him from the SPCA. 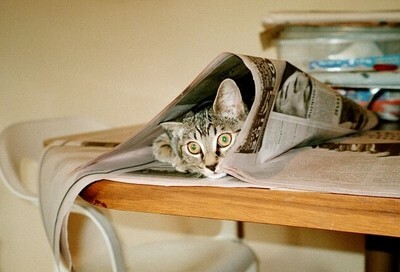 Leo loved getting into all kinds of mischief when he was a kitten. Today, Leo enjoys sleeping and cuddling. We would be so lost without him. The joy and love this fur baby gives is so comforting. Hi Janet, thanks for telling us about Leo. There sure is something special about the love of a fur baby.